Close to the Arkadi monastery, had its greatest days during the Roman and Byzantin period. Most findings in the area are from these periods. 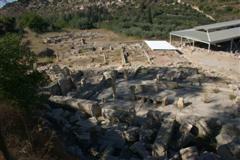 Recent excavations show that the village was used in periodes before the Mycenaean times. Archaeologist have found remains of offering rituals from the 8 centaury BC. At some parts the uncovering still takes place and not all areas are open for public. 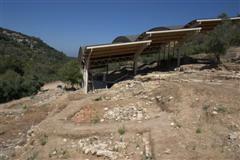 The west site is recently excavated and found to be a crematorium. Some intact pots with remains have been found here. 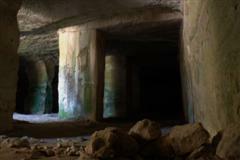 Many new places have been discovered in the area during the last couple of years. All of the findings of this area are at display in the Museum of Rethymnon. Both villages have been overbuild with the current day villages. On top of the hill there are still two water reservoirs in good condition. 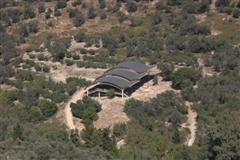 On the east hill there is the Byzantine church of Sotiras Christos from the 10th centaury. A little path outside the village leads you to the ruins of an old Roman aqueduct and a watermill.